I am honoured to be appointed Club Secretary for AFC Leyton. During my 26 year career, I have developed strong business management and financial management skills and I hope AFC Leyton can benefit from that experience. As many of you will remember, I joined AFC Leyton as an U10s parent at the time of inception and since that time have supported the club through OMG Media‘s corporate sponsorship and assisting with operations. I have, alongside my colleagues Steve Hodges and Tom Cruse, been working hard this year to strengthen our community relationships and activities within Waltham Forest and am very proud of the rapid developments made in those areas. 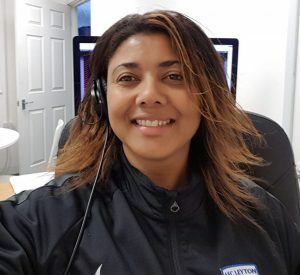 I am also incredibly focussed to continue to build on those links in the upcoming season and expand the club further through our new Leyton Active programme which will deliver development sessions for girls aged between 12 and 16 years, and the continuation of our our in-school work and of course the successful Wildcats programme. I will also be working hard to bring in more corporate and community sponsors to the club. Football should always be a sport where people flourish in a supportive community, that is fair, open and transparent. I am very proud that AFC Leyton is a naturally inclusive and diverse club, and I will be ensuring that this continues by adopting the principles of “Kick it out” and continue to keep our club a safe and welcoming environment for all. Finally, I would like to give a very warm welcome to all the new players and parents to our community. We hope that your daughter not only enjoys being a part of AFC Leyton, but grows and develops with us, building long lasting friendships, gaining confidence and future life skills. Get amongst it Girls! #LeytonPlayStrong.